Perfect opportunity for new candidates to complete your ordeal, eligible arrowmen to complete elevation to Brotherhood. 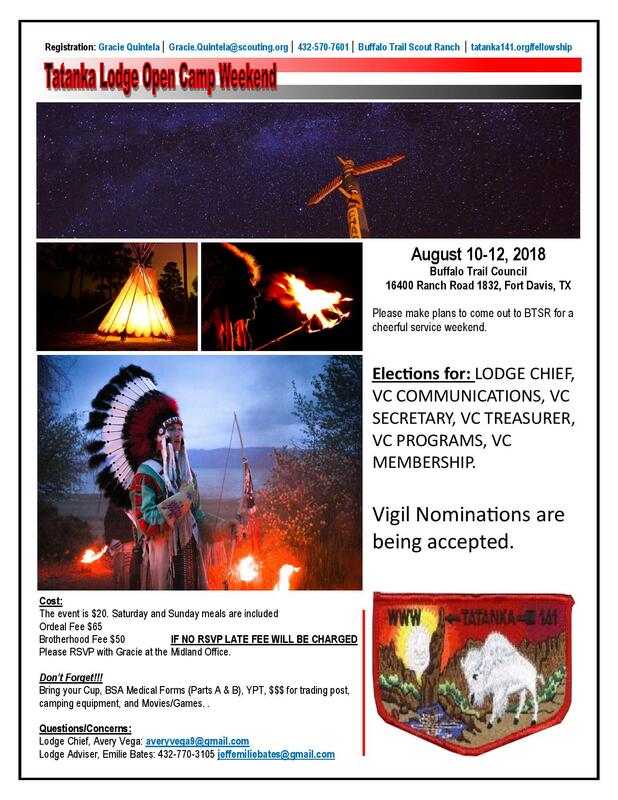 Lodge Executive Committee Meeting with Lodge Elections will be held during the weekend. Please RSVP with Gracie at the Midland Office. camping equipment, and Movies/Games. .
CLICK HERE TO DOWNLOAD FLIER . Contact the Midland Scout Office to register.